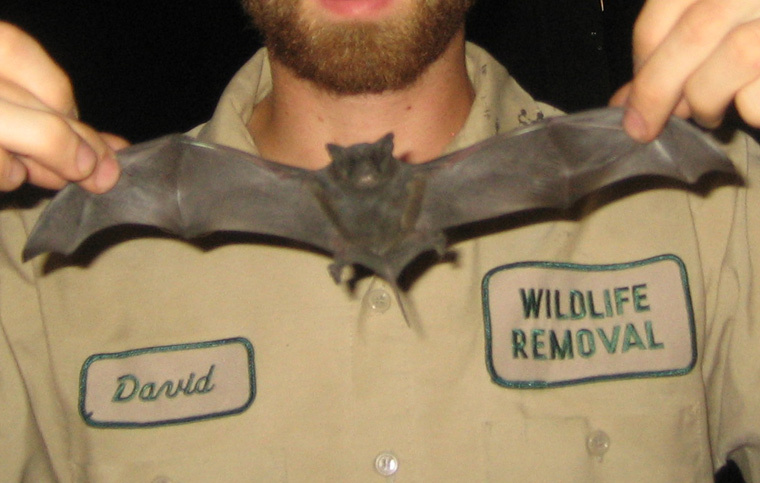 ﻿ What does a Mexican freetail bat look like? What does a Mexican freetail bat look like? This particular bat is actually a pretty impressive creature, for a wide number of reasons. Let's start with the speed at which it can fly — 47 miles per hour. That's impressive, right? A pretty small bat, only weighing in between 10 and 15 grams, the Brazilian or Mexican freetail bat is actually pretty … boring. Brown or grey and both light and dark in shade, with the exception of having an almost mouse-like tail, this small species looks pretty much like your typical bat. Blink and you might miss it — at less than ten centimeters in length, and with a wingspan of just 25-30cm across, it's a relatively small bat species. There also a few different subspecies — nine of them in total, and this means that appearance will change depending on the subspecies and location, alongside other factors. Where does the Mexican freetail bat live? The Mexican freetail bat is quite peculiar in that half of the species will migrate, the other half hibernating to warmer climates. Because of this, you will find the bat not just in Mexico and Brazil, as the name might suggest, but in almost all places across America, particularly North, Central, and South America. You will find large numbers of them in Mexico, giving the animal its name, and also in Texas. In fact, the latter is home to one of the biggest colonies of this species. There are believed to be between twenty and forty million bats in a colony in Texas' Bracken Cave. Just when you think that doesn't sound like a lot, there are only reported to be up to one hundred million Mexican freetail bats in the world's entire population! What does the Mexican freetail bat eat? Keeping on with the better-than-average list of Mexican freetail bat traits, this species feeds for a much longer period of time each night than most other species, and they can also travel quite some distance to find food too. They have been studied flying for over thirty miles or more, just to get to the best source of insects. Speaking of insects, the Mexican freetail bat will eat plenty of them in just one night — as many as six hundred to be exact, although anywhere from 200 bugs upwards is considered the norm. Think about that next time you use chemical-packed pesticides in your back yard! In fact, once you start to do your research on not just this bat species, but most US-native bat species, you learn that they responsible for the culling of literally metric tons of insects each and every year. These insects would once have devoured your flowers or plants. What's on the menu? Bugs that include leafhoppers and flying ants, beetles and some flies, but above all else, moths. They love them. When does the Mexican freetail bat have babies? Unlike other species, such as the little brown bat and big brown bat, Mexican freetail bats do not keep a'hold of their unfertilized eggs over winter, giving them the best chance of survival after a birth in spring. Instead, they mate at the very earliest point of spring, giving birth to young at the start of summer — usually about a month and a half later. Females leave the males in their warmer parts of the territory, flocking together in roosts that are sometimes referred to as “maternity roosts”. These will consist of females ONLY — the males play absolutely no role in rearing the young they bear. Go back to the Bat Removal page, or learn about bats in the attic with my Bats in the Attic guide.